The Claire Tow Theater Box Office opens 1 hour prior to curtain for ticket sales and will-call pick-up. At all other times, please visit the main LCT Box Office. There are many parking options near the theater. Yes! Full details are here. Do you have an Assistive Listening system? The Beaumont and the Newhouse are now equipped with Induction Hearing Loops for state-of-the-art assistive listening. If your hearing aid has a T-coil, please toggle to that setting to receive audio signal directly without any headphones or other equipment needed. Our thanks to Shari and Ken Eberts for funding the installations of the Induction Loops in the Beaumont and the Newhouse. If your hearing aid does not have a T-coil, headphones are also available. If using headphones, please be sure to turn down the volume on your hearing aids to avoid feedback. Headphones are available from the concessions bar in the lobby. Driver's license or ID with printed address required. Headphones and loops are available in the Claire Tow Theater. If using headphones, please be sure to turn down the volume on your hearing aids to avoid feedback. Headphones and loops are available from the concessions bar in the lobby. Driver's license or ID with printed address required. What are some restaurants and hotels in the area? View our list of favorite local restaurants or visit the Lincoln Center BID website, which lists both hotels and restaurants within walking distance. I lost my tickets. What do I do? Please call Telecharge Customer Service at 212.239.6210 to set up a missing ticket pass. Can I exchange or return my tickets if I'm not a Member of LCT? There are no exchanges or returns. What is your latecomer policy? Latecomers will be seated at a suitable break in the performance at the discretion of management. Please be aware that some of our productions do not offer late seating. If you were unable to attend the performance for which you had tickets, we will try to honor your unused, paid tickets (known as past-dated tickets) at a future performance of the same production. We can only issue new tickets if we have seats available for a performance that would otherwise go unsold. Since we cannot predict this situation in advance, you must call on the day you wish to attend to see if past-dated tickets are being honored that day. Important notes: we offer the past-dating option as a courtesy but there is NO guarantee of availability. It is strictly subject to availability and the discretion of the theater management. No arrangements can be made prior to the day of the performance you wish to attend. Seating locations are subject to availability, and may or may not be in the same area or price range as your original tickets. If your past-dated tickets cannot be honored, there will be no refund or adjustment for your original tickets. In many cases, particularly for popular shows, past-dating is not available at all. For more information, or to use your past-dated tickets, please call Telecharge Customer Service at 212.239.6210. Does the theater have a Lost and Found? Yes! There is a lost and found. Please call 212.501.3100 after 8:30pm the day after you may have lost something. Do you have Student Rush? Each day, LCT offers $32 student rush tickets beginning two hours before a performance at the Box Office (subject to availability). Student rush tickets are limited to one ticket per performance and you must show a valid college/university ID to purchase a ticket. Please Note: not all performances have student rush tickets. This policy applies to LCT productions at the Beaumont, Newhouse and on Broadway. We do not offer student rush to LCT3 productions at the Claire Tow Theater. How do I become a Member of Lincoln Center Theater? At this time, enrollment for Lincoln Center Theater's Membership program is closed. If you are not already a Member, sign up for our Notification List and you will be notifies when a new Member enrollment period begins. By joining the Notification List, you will also receive regular notices about LCT's new productions and events. LincTix is our program for 21-35 year old theatergoers. Cheap Tickets. Parties. And it's free to join! Check it out here. For Groups, please contact Caryl Goldsmith at 212.889.4300 or call 800.331.0472. Yes. No children under 5 can be admitted. Can I volunteer to be an usher? No. The Vivian Beaumont, Mitzi E. Newhouse and Claire Tow Theaters do not employ volunteer ushers. Can I buy a copy of an LCT production on video? No. LCT productions are occasionally broadcast on PBS as a part of the "Live from Lincoln Center" series, but videos are not available for sale. Who does your show posters? Our principal poster artist is James McMullan who has done the art for many of our shows. Other posters are done by a range of artists and illustrators. Where can I get general information about Lincoln Center? Visit LincolnCenter.org or call 212.875.5456 for Lincoln Center Campus information. 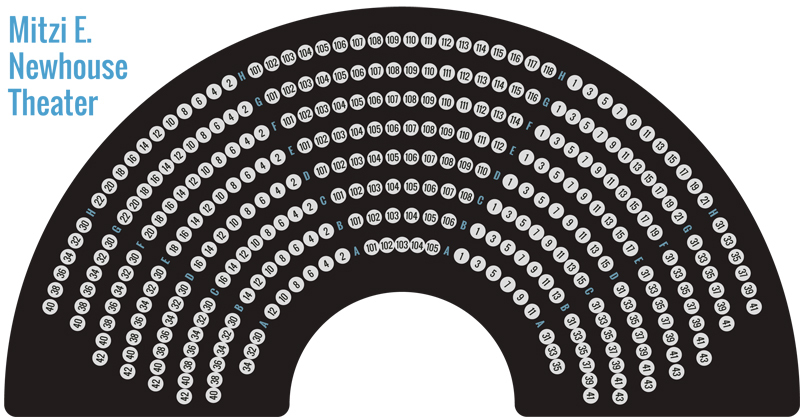 Where can I find seating charts for your theaters? 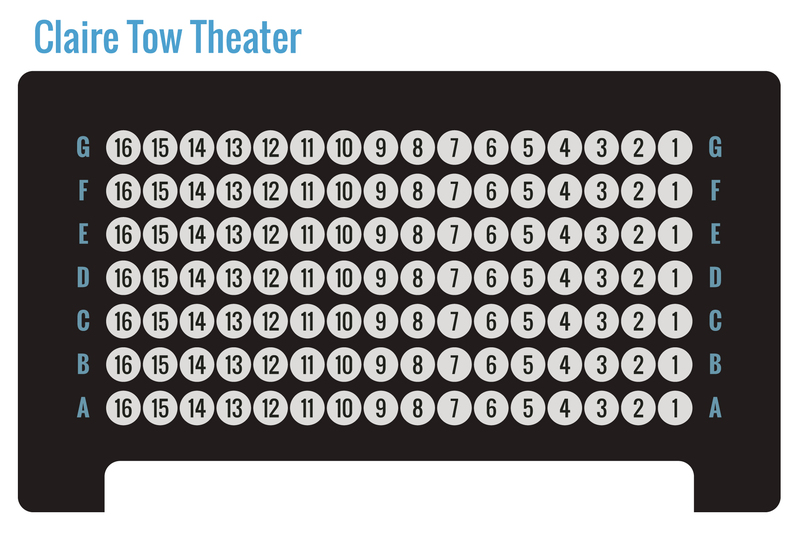 Below are the seating charts for the LCT theaters. 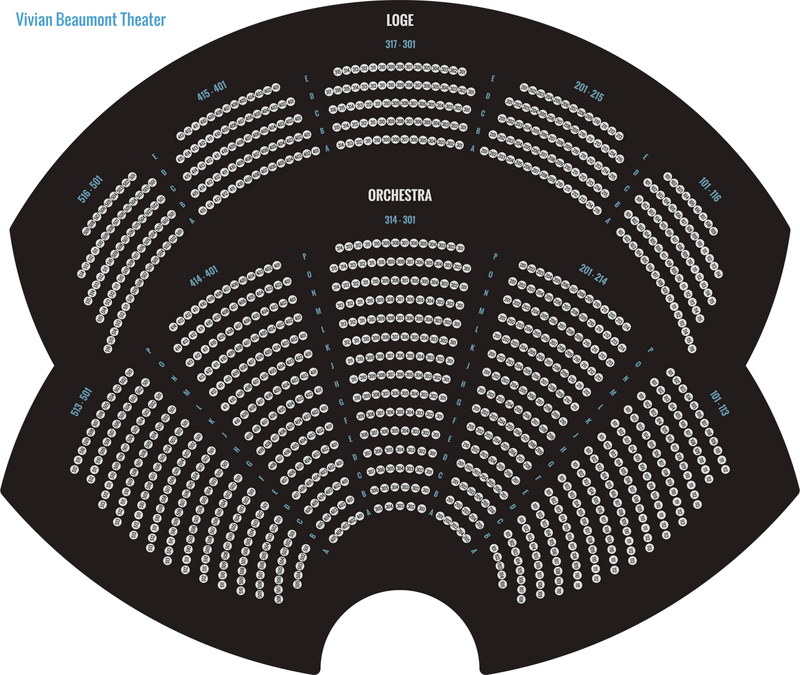 You can also find production-specific seating charts on each show's page. Blenderbox designed and built our site.